Take an enchanted walk through our 60 acre woodland garden and allow the leaves to fall around you as this spectacular season unfolds. Evenley Wood Garden holds a special beauty within, none more so than at Autumn when delightful golden and red colours provide a warm and stunning spectacle. It’s a sight not to be missed! 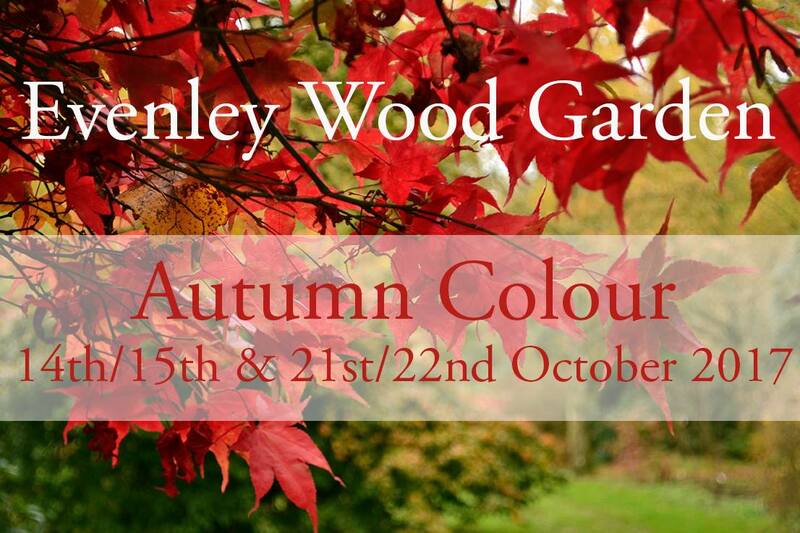 This year, we are holding two special Autumn Colour weekends, on 14th-15th October and also 21st-22nd October. 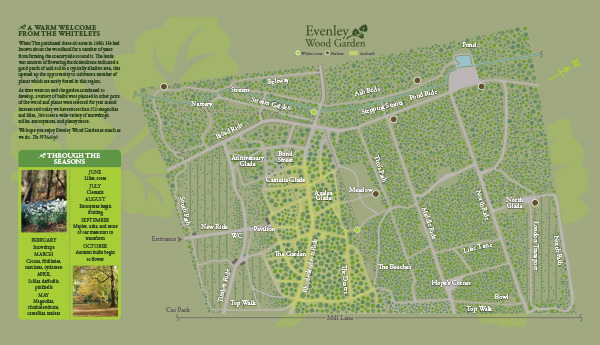 Our carefully directed routes through the wood garden take you on a journey where a number of special trees can be found. Deep in the wood, the Evenley Gold (Quercus ubra aurea) transforms into a stunning ruby red. It was developed on site and is a truly wonderful oak to see. We also have the beautiful multi coloured bark of Betula albosinensis ‘Kansu’ as well as the large collection of Euonymus, including Euonymus alatus, with deep dark red berries and stunning deep pink foliage. You will also be able to spot horse chestnuts, acers and a number of flowering autumn bulbs. Open Air Foods will be back in the Pavilion throughout Autumn Colour with a fantastic seasonal menu.